Requiring all schools in England to adopt plans to become academies in the next six years is "risky", a national body representing many of them says. Fasna, which represents self-governing schools and academies, questioned whether there was capacity to "execute that policy effectively". The government announced plans for all schools to become academies by 2022, in its White Paper on schools last week. The government said the academy system "empowered" teachers and leaders. An academy is an independent but state-funded school. Currently, there are about 5,800 of them in England, most of which are secondary schools. 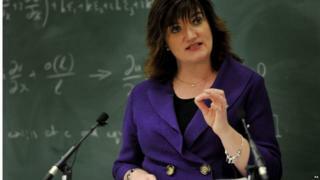 Last week, the Education Secretary, Nicky Morgan, said all schools would become academies, ending any role for local authorities in running schools. She said there would be "fair, stretching accountability" focusing on tackling underperformance and "incentivising strong leaders to take over underperforming schools". Fasna is a national forum for self-governing schools, academies and multi-academy trusts. Like the government, it believes creating autonomous schools is the best way to raise standards, and offers advice and support on academy conversions and the expansion of multi-academy trusts. Fasna chairman Tom Clark said: "Given that there are 16,000 schools that are not academies, to get them to switch to that new structure on this timescale and for that to be effective is really quite challenging. "We broadly support the direction of policy and that includes the concept of system leadership by schools, but I am surprised at the speed and timeline. "The White Paper depends on system leadership by the schools. "Our question is whether there's the capacity to execute that policy effectively." Mr Clark said there was a "shallow pool" of schools, perhaps about a third of the 24,000 schools in England, that were able to assist and support other schools in improving. "System leadership needs time to mature to be effective," he said. "It's a big ask of established system leaders - the ones who are most able to help and support schools - to provide that effectively. "There is a risk in terms of the pace of change, and the capacity of the schools to lead and support other schools in such numbers." Mr Clark also suggested multi-academy trusts might have to grow too quickly to accommodate the pace of change. He said it took time to build the supportive relationships between teachers and heads in different schools that were needed if they were to work together successfully. But a spokesman for the Department for Education said the academy system "empowers great teachers and leaders and gives them the autonomy to make the decisions that are right for their community and their pupils". "Full academisation will mean that all schools will be part of a dynamic self-improving system in which underperformance can be addressed decisively," he said. "We are giving schools until 2020 to carefully consider the best arrangement for becoming an academy and until 2022 to convert. "Each Regional School Commissioner will play a pivotal role in recruiting new sponsors to take on underperforming schools, and we will be investing in the people and systems necessary."